In 28th March, 2017, i was very tired and went home earlier than normal. At 20:50, my phone was ringing. “Hello. It is Aaron Yang; we are manufacturer of producing wedding invitation cards.” I spoke. I tried to make us more professional and tried to make my English speaking sound veritable. He spoke very clearly; but my listening is too poor. It sounds funny as international sales manager. But it is true! From the calling, I knew he was in Xiaobei and he would leave Guangzhou at 11:00 tomorrow, so he had to come. But he would spent about 1hour and half to our office from Xiaobei and i was very tried. So I hoped he would cancel and he wouldn’t come. I drove car to office also, met him and his son at 23:35 in our office. We spent 1hours on talking and choosing the wedding cards. 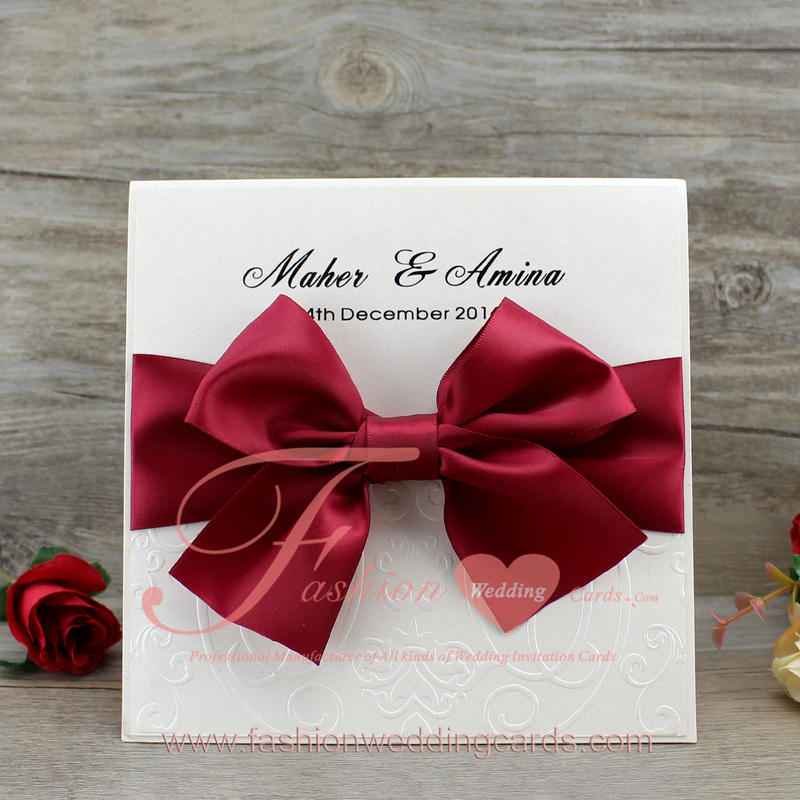 Flocked wedding card; folded; square size; there is flocking,ribbon and nice buckle on the front. It looks very beautiful because of the collocation on the front. Transparent invitation card; very long; printing white ink on transparent plastic. Laser cut wedding card; it is laser pocket invitation; you may print your text on the insert and put it in the laser pocket. There is a ribbon bow on the front. It looks like beautiful girl. invitation card; it looks like imperial edict. If your wedding invitation text are foiled on the imperial edict card, you will get more blessing. At 1:00, I drove them to their hotel in Xiaobei. When i arrived my home, it is 2:40; I was very tied but happy.